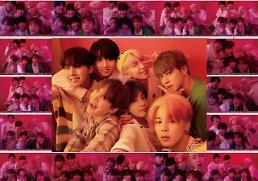 SEOUL -- The office of South Korean President Moon Jae-in sent out a special tweet congratulating BTS on the Billboard achievement of its new album "LOVE YOURSELF: Answer" as the K-pop sensation embarked on a world tour. 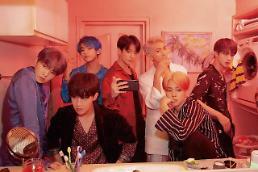 The new album rose to the top on Billboard's 200 Chart in the week ending August 30, almost three months after the group set a milestone in the Korean music history with "Love Yourself: Tear". 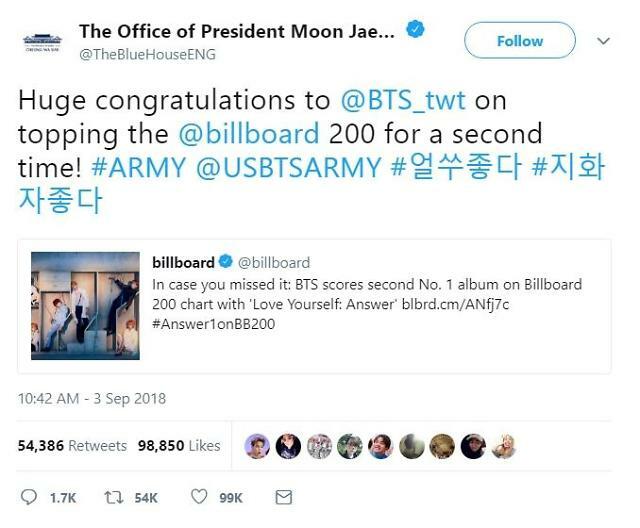 "Huge congratulations to @BTS_twt on topping the @billboard 200 for a second time!" the presidential office tweeted. The tweet received more than 96,000 likes and was retweeted more than 53,000 times. "Omg! This is the South Korean president right?! I’m shaking and super proud of my ducklings," Nadz, a Twitter user from Sri Lanka, left a reply. Hundreds of thousands of users thanked President Moon Jae-in and his staff for kindly reaching out and congratulating BTS. 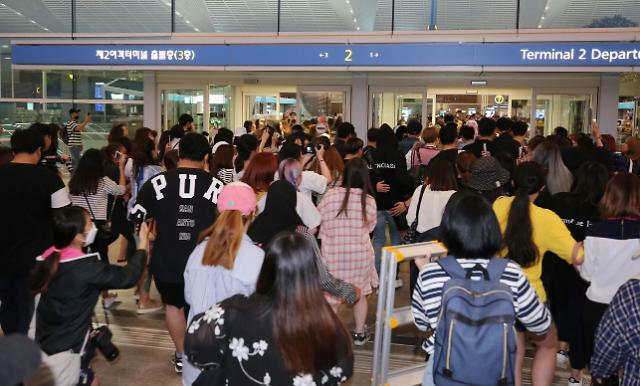 The BTS fever also engulfed Incheon International Airport, South Korea's main gateway, on Monday evening when hundreds of fans gathered to send off BTS members who left for the United States as part of their world tour. Fans screamed as the boys slowly walked into the departure lounge, smiling and waving but without making any comment. They will hold 33 concerts at 16 cities, including Seoul and Los Angeles, to meet about 790,000 fans altogether.